We joked about shoddy Soviet technology, but it was no laughing matter to Col. Stanislav Petrov. One night while commanding a Soviet early warning station, the system erroneously reported the launch of five American nuclear missiles. In contradiction of standing policy, Petrov insisted on visual verification before proceeding with his own launch. 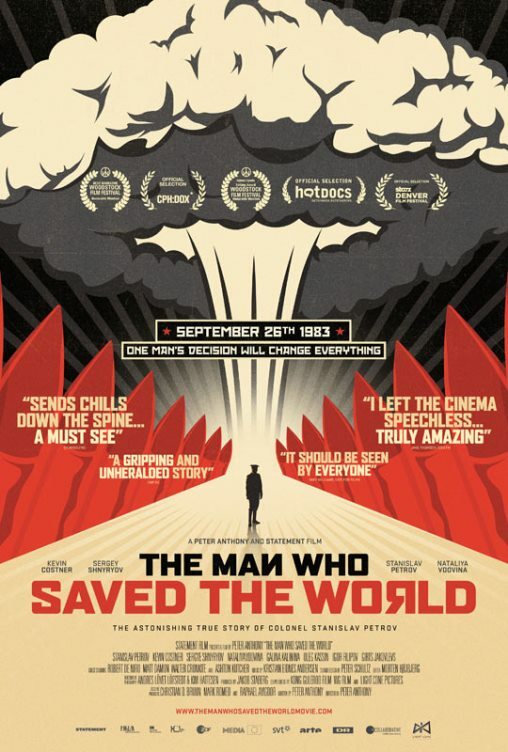 Danish filmmaker Peter Anthony follows the older and crotchetier Petrov as he starts to receive his global accolades and dramatizes that 1983 Cold War night in The Man Who Saved the World (trailer here), which opens this Friday in New York. It is rather eerie how history repeats itself. On the night in question, Petrov’s colleagues were still brazenly justifying the accidental shooting down of KAL flight 007, even though it was an obvious mistake and an international PR disaster. Years later, Russian backed Ukrainian separatists similarly bragged about shooting down Malaysia Airlines Flight 17, before realizing their stupidity. In 1983, the incident further heightened the tension for Petrov’s colleagues in the Soviet Air Defense, priming them to expect western retaliation. That is exactly they assumed was happening, but Petrov was not so sure. Flashing forward from the dramatic recreations, we see the Petrov of today is rancorous and unsociable. Even though he was profoundly right, the 1983 incident did not lead to his promotion, but rather the contrary. Frankly, he never really had much affinity for the military, but when his wife finally succumbed to her long term illness (perhaps not receiving the fullest possible medical treatment, as the film maybe sort of implies), Petrov became an angry, bitter man. He will be quite the handful for Galina Kalinina, who agrees with some trepidation to serve as Petrov’s translator during his NGO-sponsored tour of America. Probably nobody ever saved so many by doing so much or so little, depending on how you look at it. Russian actor Sergey Shnyryov viscerally conveys the extreme stress Petrov withstood during the longest twenty minutes of his life. However, the real life Petrov’s oracle of doom act gets a little tiresome. Yes, the 1983 near launch is deeply scary, but it was precipitated by Russian systems failures. However, his warnings of nuclear Armageddon certainly argue against welcoming further nations into the nuclear club, especially those governed by religious extremists with vast fossil fuel deposits and a history of supporting terrorism. Seriously, what rational person would want to see a country like that go nuclear? Petrov is also a Kevin Costner fan, who conducts himself like a worthy ambassador when Petrov and Kalinina visit him on set. The Colonel also met De Niro, but Mr. Tribeca is predictably monosyllabic in his cameo. However, nobody is more awkward than the desperate-to-be-recognized Matt Damon, whom Petrov does not know from Adam. 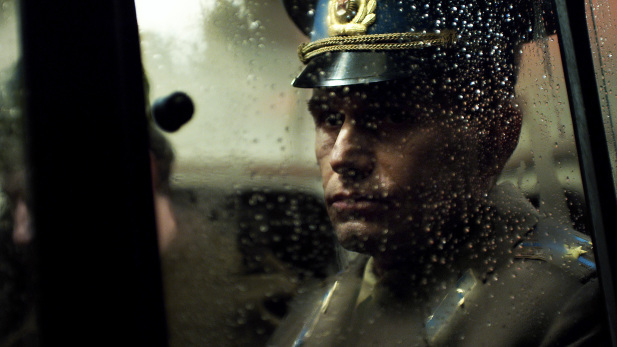 The film compellingly recreates the slightly Strangelovian 1983 Soviet war room and Petrov scores some convincing points. Unfortunately, Anthony refused to ask the swords-into-ploughshares Colonel some blindingly obvious questions about Russian military interference in Ukraine and Georgia, or he refused to answer. Either way, the absence of such discussion is embarrassingly conspicuous, to such a point that it actually takes a toll on the film’s credibility. As a result, it only really holds up when directly covering the fateful night of 1983. Feeling inconsistent and incomplete, The Man Who Saved the World truly inspires mixed emotions when it opens this Friday (9/18) in New York, at the Cinema Village.